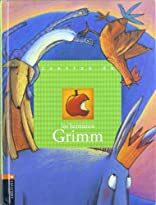 Cuentos de los hermanos Grimm was written by Jacob Grimm. Cuentos de los hermanos Grimm was published by Editorial Luis Vives. About Jacob Grimm (Author) : Jacob Grimm is a published author, editor, illustrator, and a translator of children's books. Some of the published credits of Jacob Grimm include Rapunzel, Fariy Tales of Grimm, Contes Tome.